Speaking of limits, the source of this image may not be a coincidence – red is an important color in China, symbolizing good fortune and joy. It’s especially common during the Chinese New Year celebrations, but those are due to end before the S10 is unveiled. Still, cinnabar has been used for decorative purposes in China since ancient times. Another option is that this will be a limited edition, going after some fandom judging by that avatar (though, we have to admit, this isn’t a character we recognize – do you?). 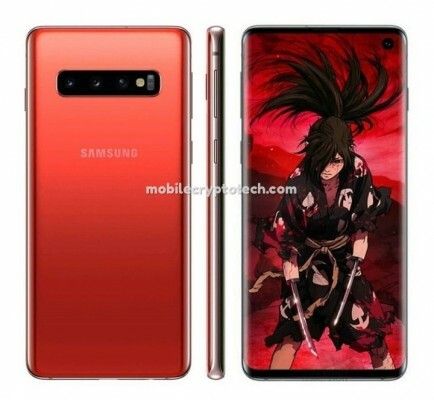 Anyway, reports from insiders are pretty consistent on the Galaxy S10 color options and Red hasn’t been mentioned in a long time. We have no doubt that a red S10 will show up eventually, but it’s not clear if it will be a launch color. You can follow Syncios onTwitter,Facebook for more tips and tricks.